Your SDB Congregation could be the winner of the 2018 Missions Supporter Award! 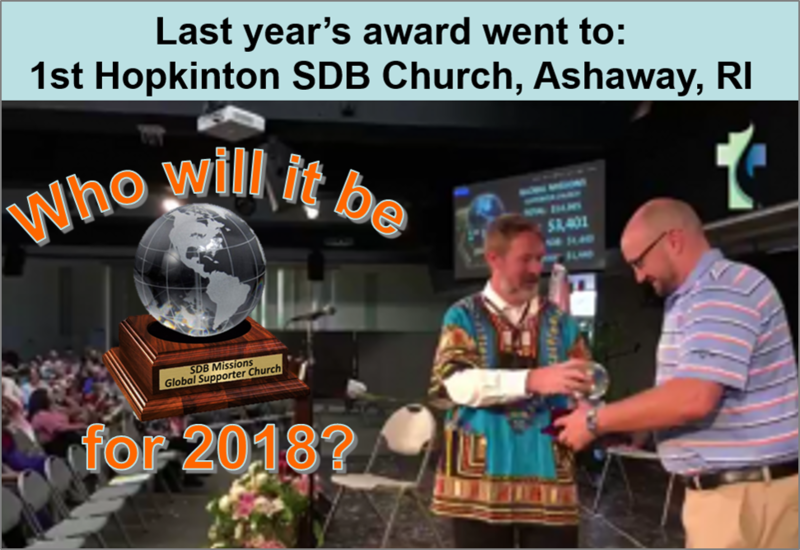 First Hopkinton SDB Church was the inaugural award winner in 2017, raising the most funds in that campaign. Second was NYC SDB and third First SDB Houston. A grand total of $14,965 was collected and went towards the global spreading of the gospel. Congratulations to all who supported; you contributed to the ultimate winner – The Kingdom of God! Churches are again invited to support this special Church Fund Raising Campaign from March 15th – May 15th, 2018. The goal is to raise $40,000. 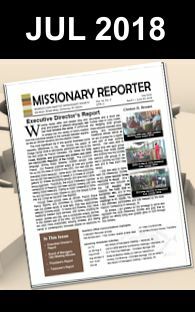 Each church is encouraged to target raising a minimum of $1000, with the church raising the most funds winning the award. Here are a few possible ways to raise funds: (1) International Themed Church Dinners, (2) members’ skills auction, (3) Bake sale, (4) Rummage sale, (5) Auction, and (6) Weekly special offering. We look forward to hearing how you raised funds and promoted Christ in your community.